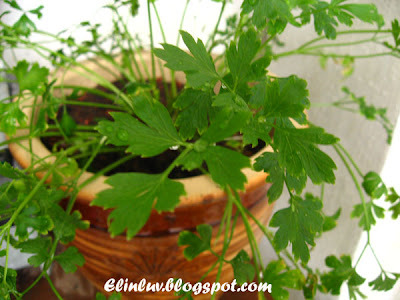 Elinluv's Tidbits Corner: My New Babies..Rosemary & Italian Parsley ! My New Babies..Rosemary & Italian Parsley ! 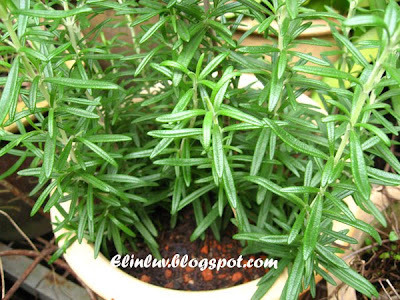 Last weekend , I bought two herb plants...Rosemary and Italian Parsley for a whopping RM16 from a nursery nearby. I am deliriously joyful for they are growing nicely in the garden and now I don't have to run out to the supermarket just to get these fresh herbs. I can just go to the garden and pluck them :p Surprisingly , despite the hot weather they are growing well. I can't imagine what it would be like living without them. 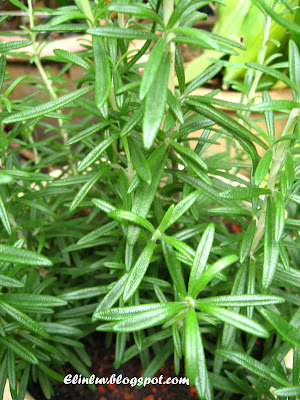 These herbs are essential in all my cooking and I can't live without them. Being able to grow them myself is an added bonus indeed! I will be adding more .... I have ordered thymes , oregano and dill plants from the nursery and I am keeping my fingers crossed that I will get them soon. Elin, if you're lucky enough and your rosemary plant is blooming tiny purple flowers, use them to decorate your iced chocolate cake or any baked goodies. They look drop dead gorgeous really and they are edible! Elin, do you want me to bring home some seeds for you? wah..for a moment, i tot i m going to give u ang pau.. hahhaa..
so these are your new profound babies.. green babies.. way to go! That's so cool to grow your own herbs! Wow, smart momsie. From which nursery did you get your supply? Fresh rosemary is so expensive here! I wish I could do the gardening! 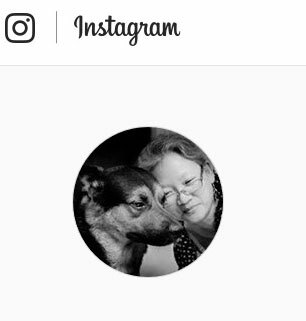 Elin, thanks in advance ya...sure will let u know when im going to Ipoh....will email u my mobile no in FB.....thanks ya!! I was just about to ask you where did you get the seeds! Coz I've been looking for it for quite some times already. So it's special order from the nursery. Good! I'll check it out.